Dr. Len Dauphinee joined the HomeGrid Forum (HGF) Board of Directors and was elected President in August 2017. With a strong background in systems engineering, being a prolific inventor and having worked in both hardware and software development, Len is poised to lead HomeGrid Forum on a path towards even greater recognition of G.hn as the global home networking technology of choice. The Forum is an industry alliance begun in 2008 and the first HGF certified product was deployed in 2013. HGF brings together the world’s best in technology innovators, silicon vendors, system manufacturers and service providers to promote G.hn technology. G.hn is the globally recognized gigabit home networking technology based on ITU-T standards. G.hn provides a single service delivery platform for your entertainment, your workspace – all your digital lifestyle needs – across any wire, simply and reliably. As Vice President and Chief Technology Officer, Len is responsible for the technology roadmap of MaxLinear’s Broadband business. 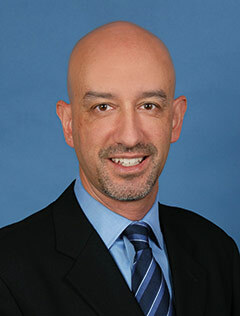 Len joined MaxLinear in 2012 as Vice President of Systems Engineering. He received a Ph.D. in Electronics from Carleton University and is a named inventor on over 60 issued or filed U.S. patents. G.hn – the gigabit home networking technology that operates across coax, copper pairs, powerline and plastic optical fibre – is the leading global solution to change the face of home networking as the world prepares for 8k TV, 5G applications and the Internet of Things (IoT). That’s the view of the new HomeGrid Forum President Dr Leonard Dauphinee. The HomeGrid Forum is an industry alliance that brings together some of the world’s best in technology innovators, silicon vendors, system manufacturers and service providers to promote G.hn, an increasingly recognized gigabit home networking technology based on ITU-T standards. Over 70 members promote the global adoption of G.hn, a single unified, multi-sourced networking technology, while continuing to support HomePNA deployments. Speaking exclusively to Intercomms Magazine, Dr Dauphinee, also Vice President and Chief Technology Officer of MaxLinear’s Broadband Group, said: “G.hn has gained momentum within the service provider and retail markets over the last few years. It has proven its capabilities as the in-home networking technology of choice, but we still have work to do. Dr Dauphinee has a strong background in systems engineering, having worked in IC design, hardware design, and software development, while at MaxLinear he is responsible for the technology roadmap of its broadband business. In his CTO role, he owns their broadband strategy. With 60+ issued or filed U.S. patents that list him as an inventor, Len brings a considerable understanding of the innovative hardware and software required to take home-networking to the next level. There will be a high level of synergy between his role as President of the HomeGrid Forum and his role at MaxLinear, as both entities work to bring ubiquitous, high-performance, and secure connectivity to the service provider and retail markets. Prior to joining MaxLinear, Len worked at Broadcom and led broadband RF IC design for MoCA, satellite TV, cable modem, cable STB, terrestrial TV, and microwave backhaul products. His appointment comes as HomeGrid Forum is increasing its global presence. Only last month it announced several newly certified G.hn products while at CES Asia in Shanghai. During the latest wave of certifications, six devices achieved certification, bringing the total number of certified devices to 26 since testing began. Member devices certified in this latest wave included; ARRIS (coax), Comtrend (powerline), D-Link (powerline), NetBit (powerline), Zinwell (powerline) and Zowee (phoneline) powered by MaxLinear, Sigma Designs and Xingtera G.hn silicon. 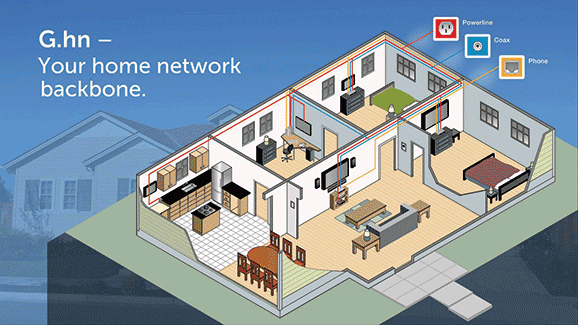 All devices were certified through the HomeGrid Forum’s Accredited Test House (ATH) Allion Labs. “G.hn networks are the most suitable way to provide an in-home ultra-broadband experience as they operate over any available medium, and can extend Wi-Fi coverage and performance throughout the home as well as being easy to install. G.hn not only provides a robust backbone for the IoT and the digital world we live in, it also provides security through encryption and device pairing,” said Dr Dauphinee. Asia is recognised as an important market for the continued growth of G.hn, particularly as consumers are increasingly demanding always-on, seamless connectivity, where there are no dead zones, and no restrictions on bandwidth hungry applications such as Video on Demand (VoD), streaming services, online gaming and, currently, 4K TV. According to Digital TV Europe, a recent industry report has revealed that China is the market leader when it comes to sales of connected 4K TVs. In 2016, “nearly 12 million” 4K TVs were sold in Europe, compared to over 25 million in China. And this figure is set to rise. An article from 4K.com supports the research prediction that the number of 4K TV sales in China will reach 44 million by 2020. “We have always felt that G.hn is the answer to the explosion in demand for more broadband and more services generally in the home,” added Dr Dauphinee.